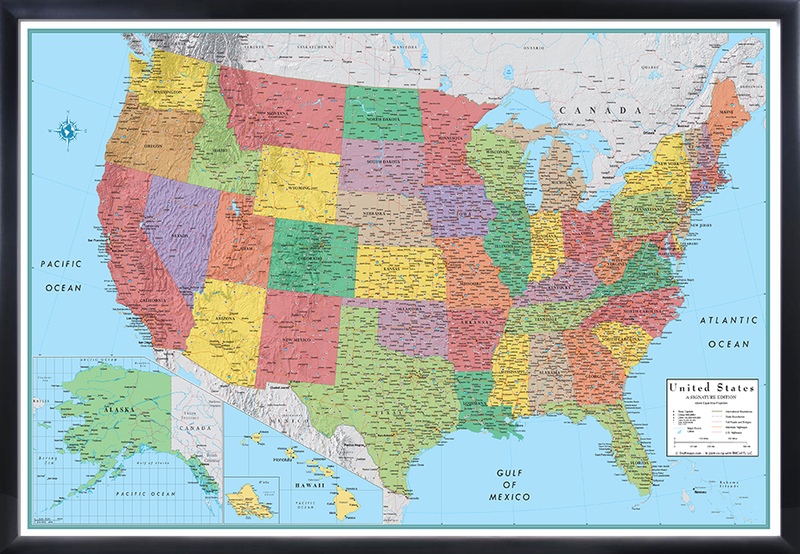 RMC Signature United States Wall Map Poster 32×50 is available Paper, Laminated, Peel n’ Stick, Railed or Framed. 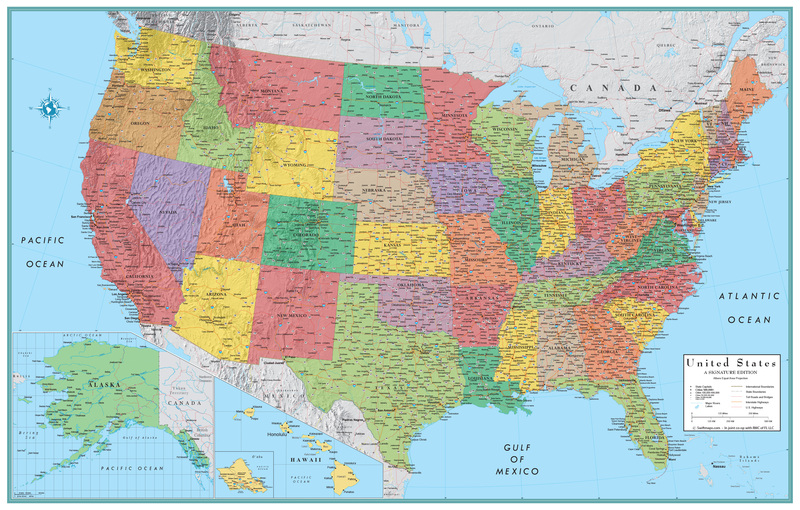 Wake up your walls with RMC’s Signature United States Map Poster 32×50 Series (M-Series) a colorful, contemporary laminated U.S. Wall Map. 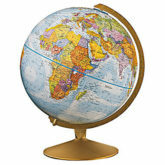 A combination of bold colors and detailed cartography makes this map stand out in any home, classroom, or office. 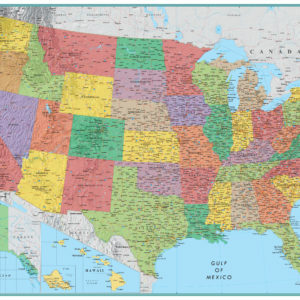 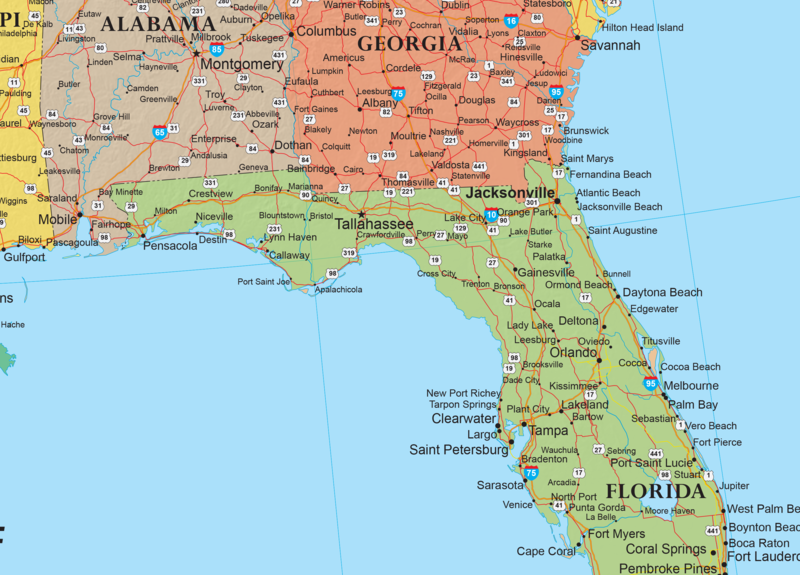 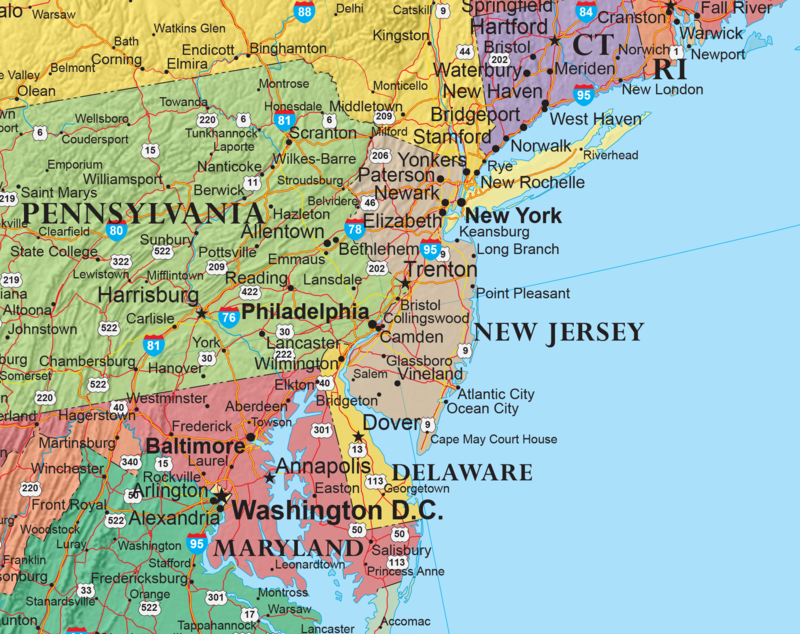 Our U.S. Wall Map serves not only as a handy reference piece, but as an eye-catching accent for any room or office. 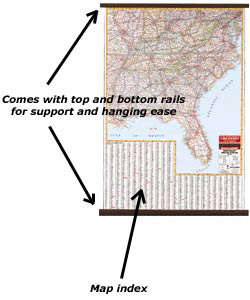 The RMC wall map size is 32″ (h) x 50″ (w).